Originally published at www.edsurge.com on May 12, 2016. In higher ed this means that student data could be shared across many institutions — rather than a single one — and also include data from online learning tools, co-curricular activities, employment history and other learning experiences. This would allow the data to be exchanged, understood and validated amongst many parties. Imagine the pictures of students’ learning experiences that this could provide and how these pictures could help develop and improve upon course design, facilitate transferring credits, or prove qualifications for a job to a potential employer. We’re excited by the amazing response we’ve been getting. Thanks! You have been finding and following the BadgeChain work here on Medium and on Twitter @BadgeChain. As you know, we have a temporary website up at http://badgechain.com. Our new BadgeChain site is in progress, so we wanted to share a brief update on two pieces of the future site: the calendar and the roadmap. 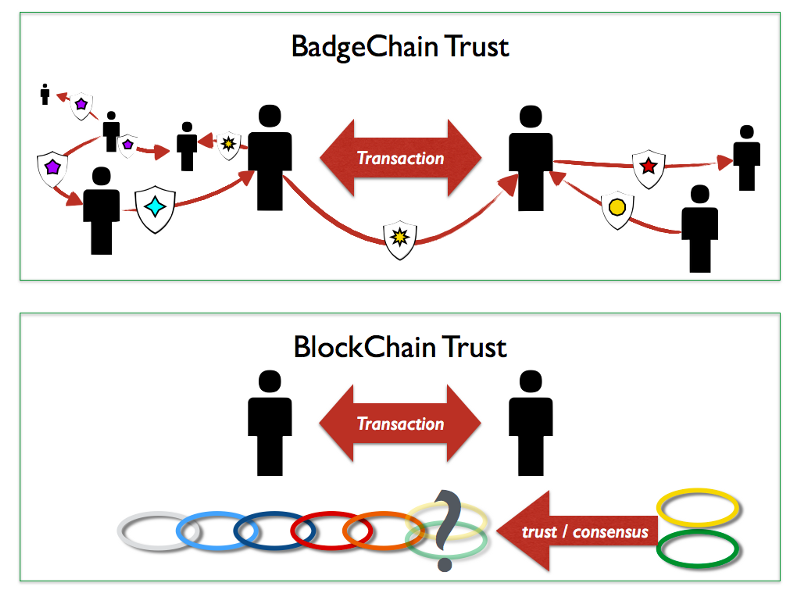 You want to stay up to date with the BadgeChain work: we get it. So, we have created a public BadgeChain google calendar for you! Subscribe to it for reminders to attend our biweekly BadgeChain Community Calls. (We have one this Wednesday, May 11.) The calendar is where you’ll find activity details and events as the work continues to grow and evolve, so subscribe to it now. Bonus: never worry about call timezone conversion again. Following us on Twitter @BadgeChain gets you call announcements as well. As we have repeatedly noted, working in the open is baked into our process. We believe that public roadmaps are not only meaningful but useful for building the future we want. We built them at Mozilla when we were working to launch open badges and developing the web literacy map. We wrote them at the Badge Alliance when we continued to build the open badges ecosystem network. So, continuing with that proud tradition, we are pleased to announce BadgeChain’s first public roadmap. By the way, we’ll be discussing the roadmap during this Wednesday’s (May 11) BadgeChain Community Call. Subscribe to the calendar, review the roadmap, and consider how all of this might fit with your work. The real next steps are figuring out how we might build the future we want together.